Azelf does not evolve/is not evolved into. X Known as “The Being of Willpower.” It sleeps at the bottom of a lake to keep the world in balance. X „Das starke Wesen“. Es schläft auf dem Grund eines Sees und hält so die Welt in Balance. X On l’appelle « être de la volonté ». Il dort au fond d’un lac pour maintenir l’équilibre du monde. X Se le conoce como el Ser de la Voluntad. Duerme en el fondo de un lago para equilibrar el mundo. X Detto “Essere della volontà”. Dorme sul fondo di un lago per mantenere il mondo in equilibrio. X 의지의 신이라 불리고 있다. 호수의 밑바닥에서 계속 잠을 자며 세계의 균형을 지키고 있다. Y It is thought that Uxie, Mesprit, and Azelf all came from the same egg. Y Man glaubt, dass Selfe, Vesprit und Tobutz alle aus demselben Ei kamen. Y On raconte que Créhelf, Créfollet et Créfadet proviennent du même Œuf. Y Se cree que Uxie, Mesprit y Azelf provienen del mismo huevo. Y Pare che Uxie, Mesprit e Azelf abbiano avuto origine dallo stesso uovo. Y 유크시, 엠라이트, 아그놈은 같은 알에서 태어난 포켓몬이라 여겨지고 있다. Omega Ruby It is thought that Uxie, Mesprit, and Azelf all came from the same egg. Omega Ruby Man glaubt, dass Selfe, Vesprit und Tobutz alle aus demselben Ei kamen. Omega Ruby On raconte que Créhelf, Créfollet et Créfadet proviennent du même Œuf. Omega Ruby Se cree que Uxie, Mesprit y Azelf provienen del mismo huevo. Omega Ruby Pare che Uxie, Mesprit e Azelf abbiano avuto origine dallo stesso uovo. Omega Ruby 유크시, 엠라이트, 아그놈은 같은 알에서 태어난 포켓몬이라 여겨지고 있다. 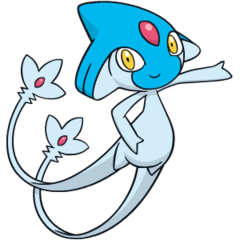 Alpha Sapphire Known as “The Being of Willpower.” It sleeps at the bottom of a lake to keep the world in balance. 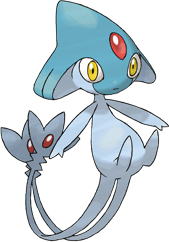 Alpha Sapphire „Das starke Wesen“. Es schläft auf dem Grund eines Sees und hält so die Welt in Balance. Alpha Sapphire On l’appelle « être de la volonté ». Il dort au fond d’un lac pour maintenir l’équilibre du monde. Alpha Sapphire Se le conoce como el Ser de la Voluntad. Duerme en el fondo de un lago para equilibrar el mundo. Alpha Sapphire Detto “Essere della volontà”. Dorme sul fondo di un lago per mantenere il mondo in equilibrio. Alpha Sapphire 의지의 신이라 불리고 있다. 호수의 밑바닥에서 계속 잠을 자며 세계의 균형을 지키고 있다. Diamond It is called the god of will. It sleeps continuously at the bottom of the lake to maintain the world’s balance. Pearl Uxie, Mesprit and Azelf are believed to be born from the same egg. Platinum When AZELF flew, people gained the determination to do things. It was the birth of willpower. HeartGold This Pokémon is said to have endowed humans with the determination needed to face any of life’s difficulties. SoulSilver This Pokémon is said to have endowed humans with the determination needed to face any of life’s difficulties. Black When Azelf flew, people gained the determination to do things. It was the birth of willpower. White When Azelf flew, people gained the determination to do things. It was the birth of willpower. White 2 When Azelf flew, people gained the determination to do things. It was the birth of willpower.